In 2012, one fatality involved dogs from three different dog breeds, thus producing a death count total of 41 rather than 39. 10 dog breeds contributed to one death: husky, labrador-shepherd mix, boxer-mix, golden retriever-mix, cane corso, presa canario, Boston terrier, bullmastiff, mastiff-Rhodesian ridgeback mix and one unknown breed. Together, pit bulls (22) and rottweilers (3), the second most lethal dog breed, accounted for 64% of the total recorded deaths in 2012. This same combination accounted for 73% of all fatal attacks during the 8-year period of 2005 to 2012. 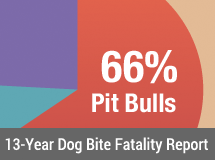 The breakdown between pit bulls and rottweilers is substantial over this 8-year period. From 2005 to 2012, pit bulls killed 152 Americans, about one citizen every 19 days, versus rottweilers, which killed 33, about one citizen every 88.5 days. Annual data from 2012 shows that 51% (20) of the victims were adults, 21-years and older, and 49% (19) were children, ages 8-years and younger. Of the total children mauled to death by dogs in 2012, 63% (12) were ages 1-year and younger. Annual statistics also show that males were more often victims, 59% (23), than females. The majority of male victims, 61% (14), were children ages 8-years and younger. Of the total female victims, only 31% (5) fell into this same age group. In 2012, nearly one-third, 31% (12), of all dog bite fatality victims were either visiting or living temporarily with the dog's owner when the fatal attack occurred. Children 8-years and younger accounted for 75% (9) of these dog bite deaths. 36% (14) of all fatalities in 2012 involved more than one dog; 13% (5) involved breeding on the dog owner's property either actively or in the recent past, and 5% (2) involved tethered dogs, down from a 14% average from 2005 to 2010. In 2012, dogs referred to as a "rescue" accounted for at least 15% (6) of attacks that resulted in death. Young children were the victims in half of these cases. 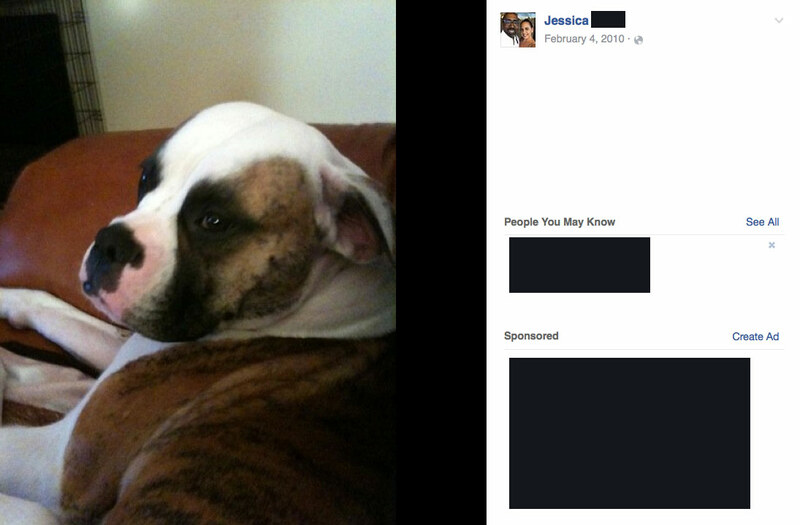 The adults afflicted, 3 adult females, were each killed by their own "rescued" dogs. Dog ownership information for 2012 shows that family dogs comprised 59% (23) of all fatal attack occurrences; 82% (32) of all incidents occurred on the dog owner's property and 21% (8) resulted in criminal charges, down from 29% in 2011. California, Ohio and North Carolina led fatalities in 2012, each with 4 deaths. 75% of the California deaths occurred in San Diego County. Pit bull-type dogs accounted for 83% (10) of the 12 deaths. New Mexico and Texas followed, each with 3 deaths. The below items were issued when annual statistics were originally published on January 11, 2013. New fatalities and updates to our 2012 Fatality Statistics may have been added since. This death marks the fourth fatal dog attack by a San Diego County pit bull-type dog in an eleven month period, fifth if one includes a San Diego County pit bull brought to Tijuana, which quickly killed a 4-year old girl. Victims include: Emako Mendoza, Diane Jansen, Tyzhel McWilliams, América Viridiana and Remedios Romero-Solares. Change Log: In February 2017, the 2012 Dog Bite Fatality Statistics were reissued with the following significant changes: The deaths of Millicent Miller (discovered through a FOIA on June 8, 2016) and Elizabeth Hirt (discovered in news reports on February 8, 2014) were added and the death of Mable McCallister was reclassified as a 2011 death. Mable died on December 31, 2011. Less significant changes in the 8-year combined total deaths of pit bull and rottweilers (from 2005 to 2012) increasing by one for each breed (151/152 and 32/33) due to reclassifications and additions in earlier years. In February 2014, criminal charges were increased to reflect the felony charges brought in connection to the death of Esteban Alavez. More adoptions will not end shelter killing of pit bulls, by Merritt Clifton, Animal People, October 2011.